Martha recently bought a home in Washington. She wrote into the contract that the electric fireplace was supposed to stay in the house. When she moved in, she found the fireplace was gone. The seller offered her $100, but when she priced out the fireplace, she found it would cost her $1,200 to replace it. You’d like to think that you’ll live happily every after in your new home. But that’s not always the case. The first thing to consider is the problem itself. What happened? Did the boiler blow up? Is a pipe burst? Did the electrical system catch on fire? Is there asbestos in the home? Did you fall through the floor? Did the roof leak? Did the dishwasher break? Did the ceiling paint crack? Is something missing in your new home? If you’ve bought a brand new home, I think you have a right to believe everything will work beautifully for a long time. But if something goes wrong, you should make sure the warranties for the appliances are given to you at the closing or left in the appliances. You should also talk to your attorney about what other warranties come with the purchase of the home or may be implied by law. For example, if your new dishwasher breaks within the first year, the warranty from the manufacturer should cover that. If the roof leaks in five years, the warranty from the roofing installation company may cover that one, too. If you’ve bought an older or used home, you have to realize some things are going to break. Others may work, but not work well. Each home is different. Each home has its own rhythms. If something goes wrong, you’ll have to fix it, unless your seller or the seller’s broker purchased a homeowner’s warranty plan for your older home (if you live in California, more than 85 percent of the homes are sold with a home warranty plan). If you have a warranty, then you’ll be able to have certain problems fixed (for the first year) and all you’ll be responsible for is the deductible. You should be aware that home warranties on existing homes usually only cover some of the mechanical systems and appliances of the home and not roof issues and other structural portions of the home. But if the seller and the seller’s broker told you the furnace was new and a week after moving into the home you discover it’s an old, covered with asbestos furnace that was covered up to hide defects, that could be a problem. If you were told the house had a new septic system put in, and you find out it wasn’t new, that could be a problem. If you were told the house’s roof did not leak, and a day after the first rain your living room looks like a swimming pool, that could be a problem. 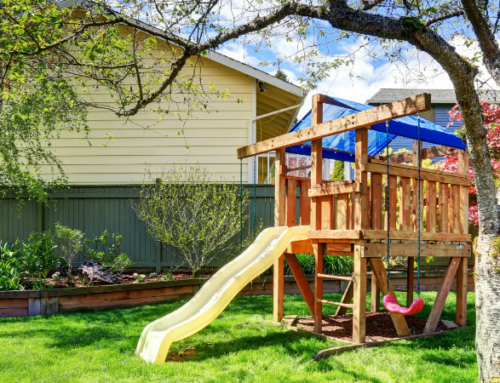 Although disclosure laws vary from state to state, most sellers are required to tell you about “known, material defects” (the typical legal standard you’ll need to prove) that could affect the value of the home. In some states, homeowners have successfully sued their sellers for not disclosing that someone was murdered in their home, or a former owner died of AIDS. In some states, not disclosing that your house is haunted could be a real problem for the seller. The bottom line is, if you feel you’ve been wronged, or lied to, in the purchase of your new home, you’ll need to consult an attorney to learn about the legal rights and remedies you have in your state. But if you have outsized expectations — and expect that everything will work perfectly in your home forever — you’re setting yourself up for a series of disappointments that may erode your enjoyment of your new home. We bought a home about a month ago and it was a flipped house, they bought it to fix it and sell it. Last night we came home and one of our cabinets was smashed onto the floor along with my $600 brand new dish set shattered on the ground as well. The seller did the work in the house and I want to know if he holds any responsibility for what happened? !